I like finding things you can build with 2x4s, because it’s some of the cheapest lumber around. Sturdy, dependable and at around $3 for an 8 ft piece, it’s a great value for your building budget. 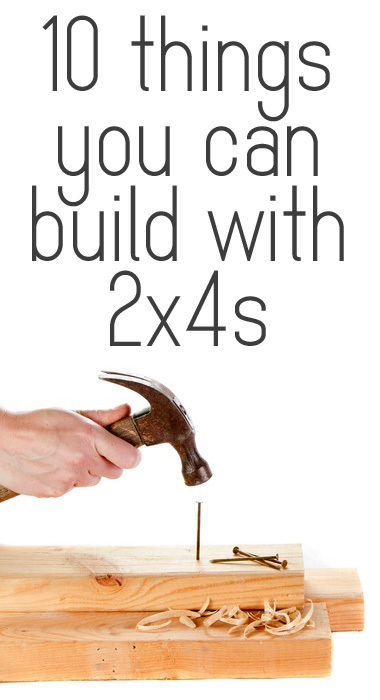 Don’t think you can think of things you can build with 2x4s? Think again! From outdoor furniture to amazing organization ideas, this collection of projects will give you tons of ideas on how to put the cheap building supply to work for you! What wonderful ideas; thank you, Gina! I forwarded this on to my 25 yr old grandson, who didn’t give anyone gifts at Christmas this year, saying he didn’t have any money. Now he has plenty of time to plan and make! Great list! I’ve never built anything with wood before, but I might try the outdoor sofa! I really would like an outdoor sofa for my home’s patio, but I don’t want to spend a ton of money! Thank you for sharing a few of our 2×4 projects! 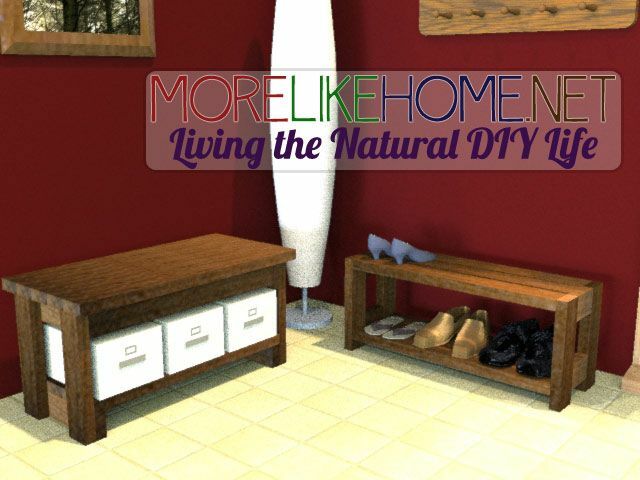 Be sure to check out the entire 2×4 DIY series at http://mlho.me/2×4 ! I love the sofa and the sectional pieces. I downloaded the plans for the sofa but the link on the sectional says it is not found or something of the sort. Do you have another link to download the plans for it? I’m retired and like building things in the little shed I have. I build small things, than I hope are useful for others to need, like dog and different animal houses, feeders for birds mostly, cages etc.. I an always looking full plans and other information to build different things. I’m retired on a fixed income and appreciate free material as finance is limited. If you have things to share, please email me @ Quailhouse@hotmail.com thank you in advance. Hi. Will you help me with codes for painting walls in shabby chic colors? Regards. I am in Ecuador, and only has Sherwin Williams walls. Thanks for your help. Hi Rocio, What kinds of colors are you looking for? Those are all great ideas! I especially like the bar stools. Thank you for a great DIY resource… love love love it! I really appreciate the time you take to keep us ‘in the know’! All of those are beautiful and practical but I love, love, love the swing. Wish I had trees close enough to each other to do it. Brings back childhood memories. I don’t mean to be unkind, Gina, but the number of ads that make your page jump around as they pop in place makes viewing your slideshow not so pleasant. The content was great but the lure to subscribe–not so much due to the constant distraction. I hope you can view this as constructive criticism to consider to make your guests want to stay longer.